Chief Minister Pema Khandu attended the Public reception program of Students Experience in Inter-state Living (SEIL) program organised by the ABVP here at New Delhi today. SEIL is an initiative of ABVP to bridge the gap between the people of different regions across the country, mainly with a focus on improving relations between the people of North-Eastern States and people of other parts of India. As part of this program, the students from the North-Eastern States are encouraged to travel to other parts of India i.e., other States of India, and stay there with families – so that they can understand one another’s culture and tradition. In the same way, the students from other parts of India are encouraged to travel to North-Eastern states and stay with the families in these states. Khandu lauded the ABVP for initiating program like SEIL which has contributed immensely in fostering the feeling of oneness amongst the youths in the country. He said that North-Eastern states and the rest of India need to be further brought closer through such programmes. 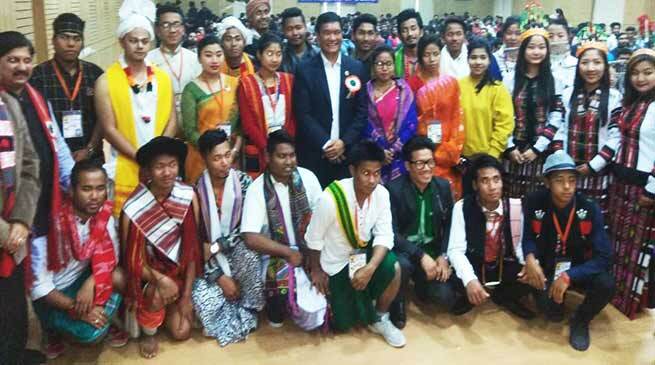 While advocating that every Indian citizen should know about different parts and people of the country, Khandu opined to have a syllabus on Northeast so that the students are aware of the region and people of this part of the country. The Chief Minister informed the gathering that North-East is unique and diverse having abundant potential to grow in terms of tourism and other industries. He requested the youths to visit Northest to get the real feel of its beauty and diversity. Khandu further appreciated the objective of SEIL which aims at unifying the thoughts and bridging traditional and customary differences to build a strong and vibrant India. While assuring all possible support, Khandu requested the ABVP to ensure continuity of such interactive programs so that more and more people from Northeast and other parts of the country are benefitted. He appealed others to join hands with the initiative to make the thought and program larger and greater in reach and outcome. Among others SEIL chairman Atul Kulkarni, State President ABVP D K Avneesh Mittal, State Secretary ABVP Bharat Khatane, Ashok Aggarwal, Deepak Tyagi, Balkishan, Mahamedha Nagar DUSU Secretary and Uma Shankar DUSU Joint Secretary were present in the program.